Roll out each biscuit round until it’s 9 inches in length, then wrap around and tie in a knot. Repeat with all 8 biscuits. Place on an ungreased cookie sheet. In a small bowl, combine 1 tablespoon cinnamon and 4 tablespoons granulated sugar. Brush melted butter on top of each biscuit knot then sprinkle with cinnamon-sugar mixture. Finish each with a sprinkle of turbinado sugar. 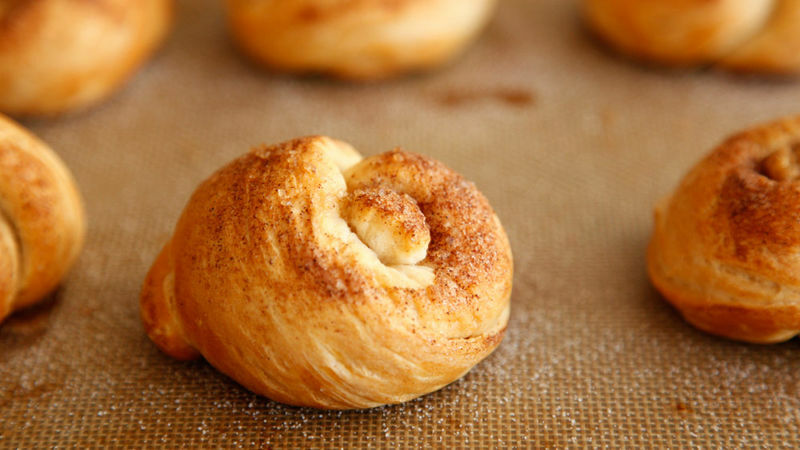 Enjoy these warm from the oven! Serve with jam, if desired.